Aparently that was too much to ask. Mostly any stockings I found were lacking in the "well-made" category. So this year I decided to just make our stockings. I figured I could just make up my own pattern, but when I sat down to make the stockings (at 11:30 at night) my brain was in no shape to do any thinking. A quick search online brought me to a great tutorial. Why re-invent the wheel, right? 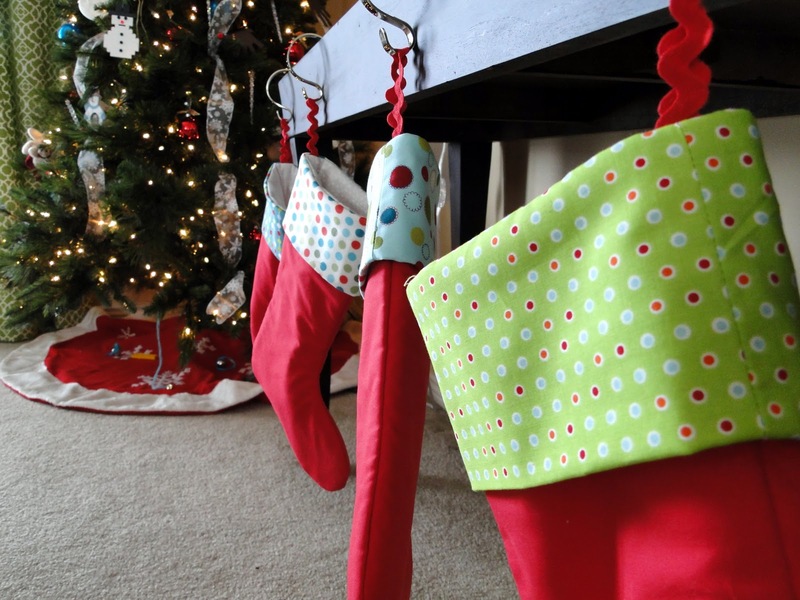 I loved that the stockings were lined and had a cuff - exactly what I was imagining our stockings would end up like. Thanks, Fabricworm for the well-written tutorial! 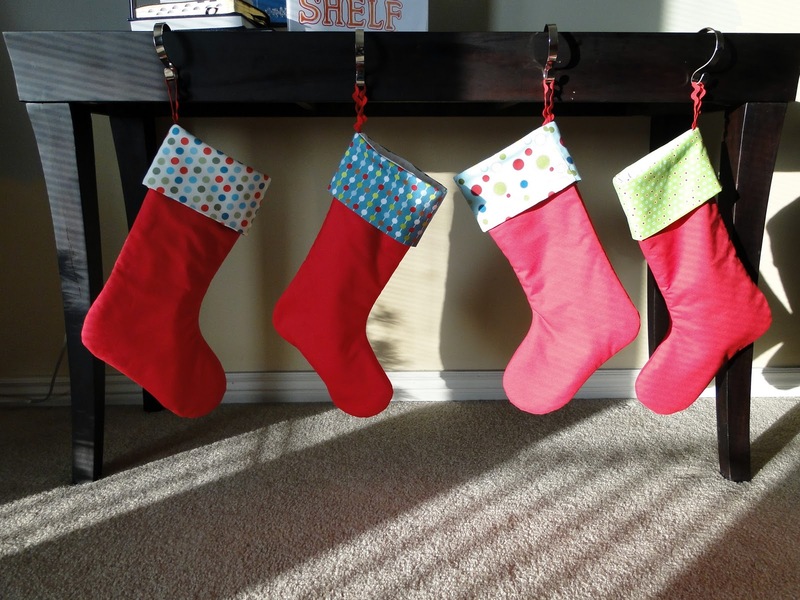 I love that all of the stockings are the same red with different cuffs. I'm going to try the same tutorial today. Thanks for the fabric ideas! Happy holidays!